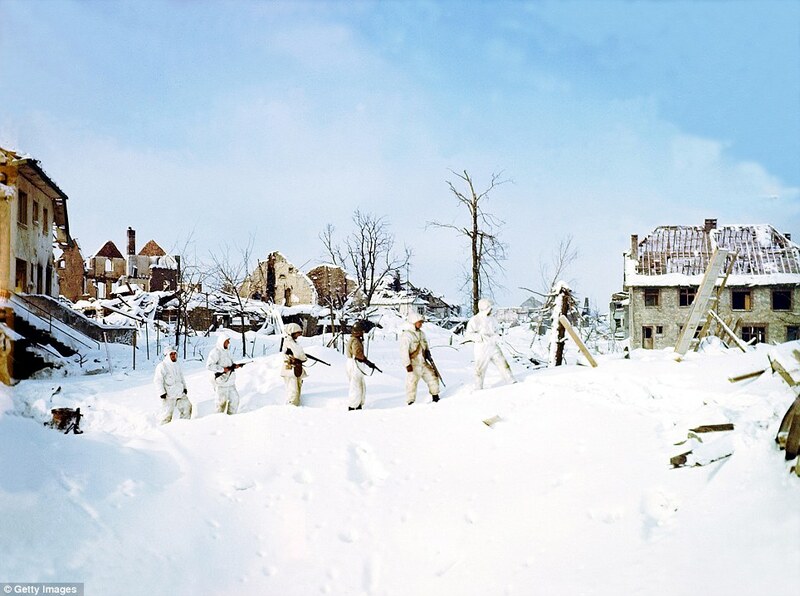 Breathtaking new photographs, including several vivid full-color images, offer a never-before-seen look at the war-weary soldiers in the Battle of the Bulge who fought through the frozen Ardennes Forest in a mountainous region of Belgium in the dead of winter. 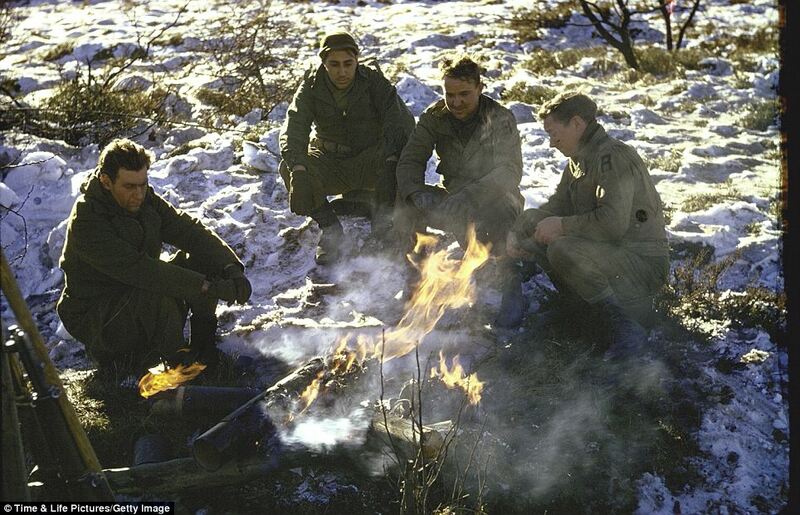 They show soldiers on both sides battling the frigid weather as they fought each other during Nazi Germany's last-ditch effort to drive back Allied forces between December 1944 and January 1945. 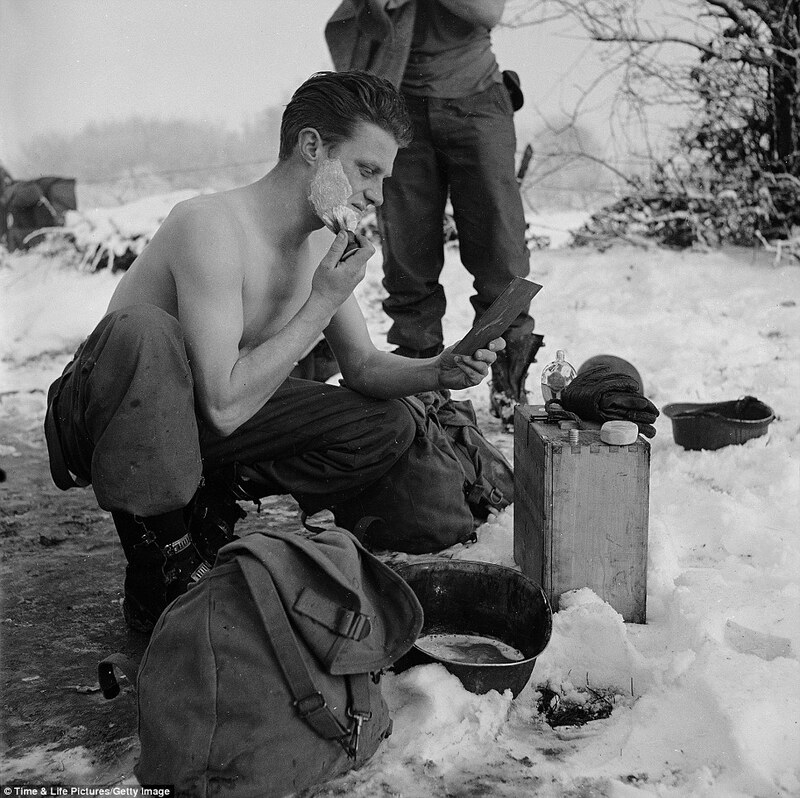 The pictures were released by Life Magazine on the 67th anniversary of the start of the grueling battle. 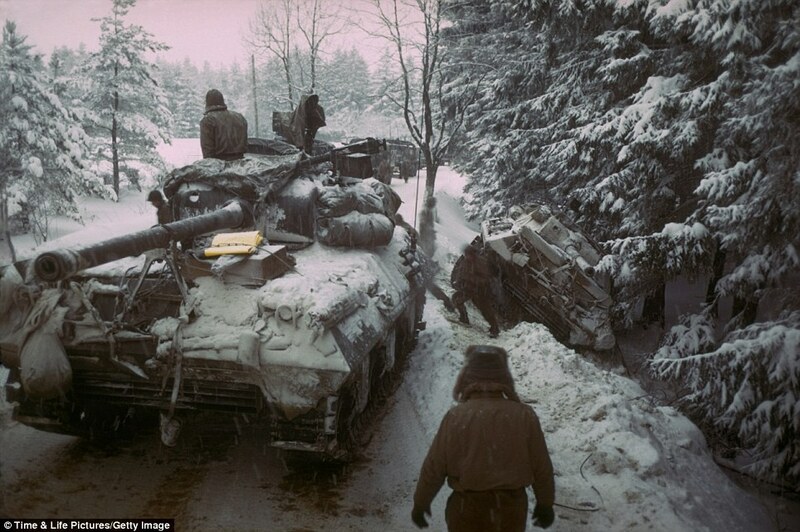 Icy: An American Sherman M4 tank moves past another gun carriage that slid off icy road in the Ardennes Forest during push to halt advancing German troops. 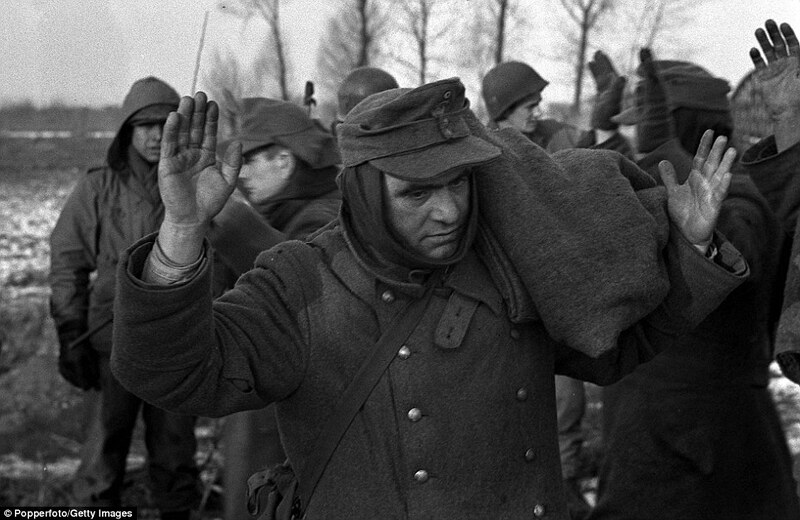 At the end of the of the 41-day offensive, 19,000 American soldiers were dead. The British Army lost 1,400 lives. Total allied casualties are estimated at 110,000 - making it the bloodiest battle for American troops in all of World War II. 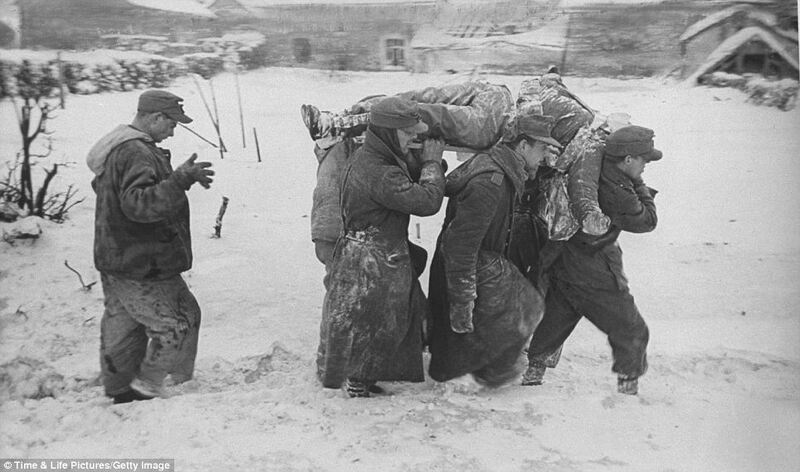 German casualties were lower at about 85,000. 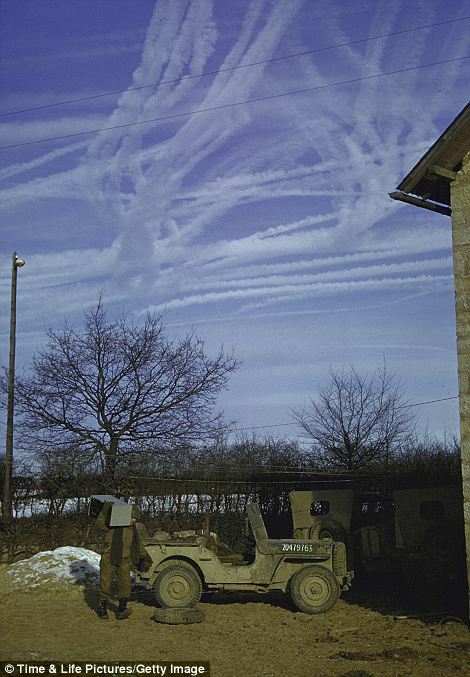 But the Wehrmacht - Germany's unified military command - ultimately lost their gambit to break through the Allied lines and capture key supplies -- especially fuel for tanks and aircraft. 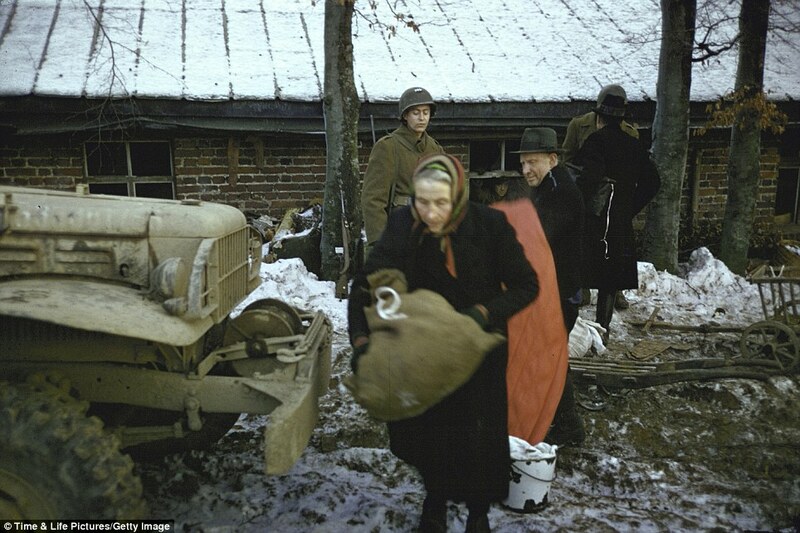 Under-manned and not prepared to camp out in temperatures that dropped to four degrees below zero Fahrenheit, American forces held out against German tanks and troops until reinforcements, including General George S. Patton's Third Army arrived and beat back the Nazi offensive. 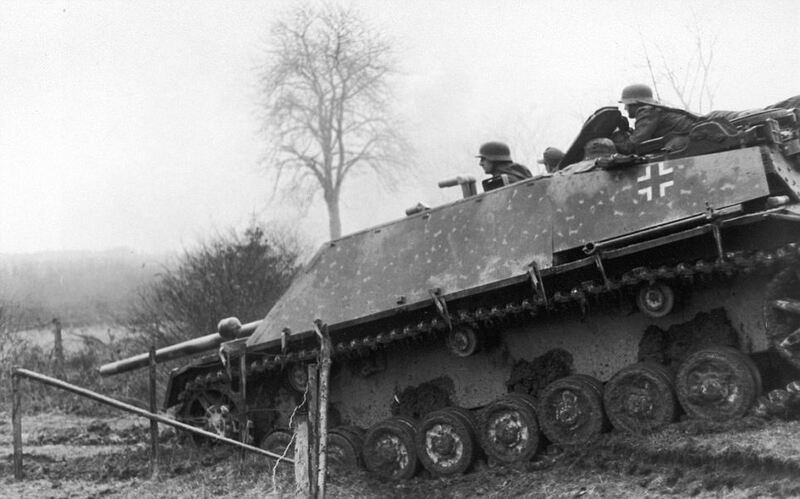 The German surprise attack came after Allied forces liberated France and were beginning to look forward to surging into Nazi Germany. 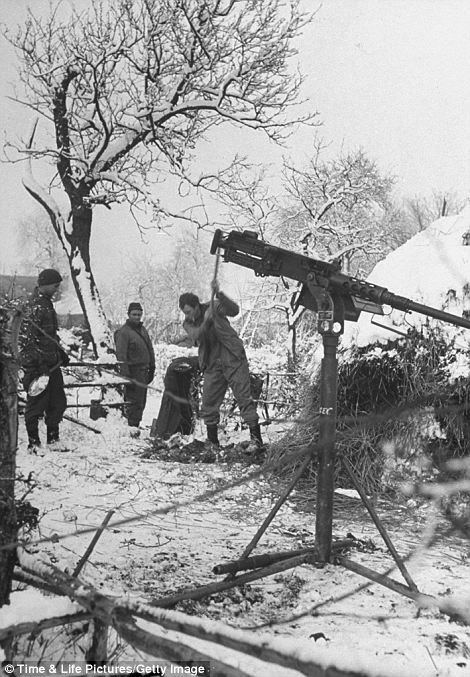 Some historians say complacency among Allied commanders left troops totally unprepared for the German counterattack that sparked the Battle of the Bulge. 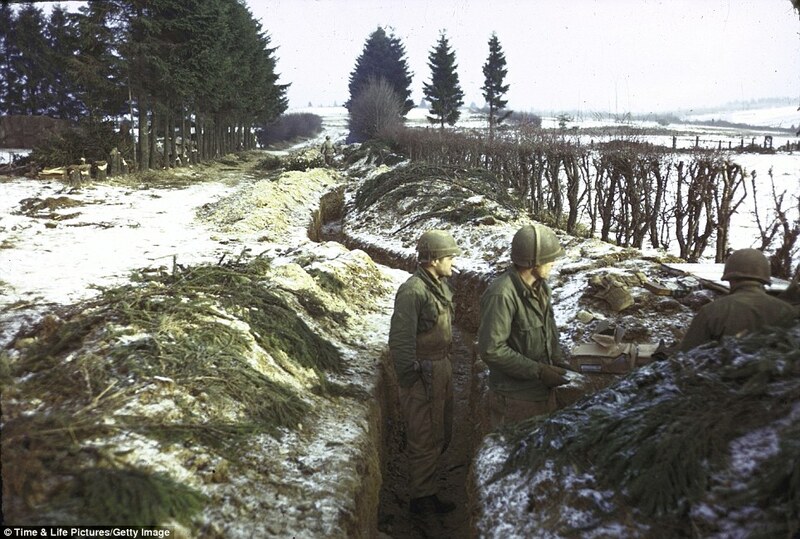 Perhaps the most famous story of the bloody battle came during the German siege of the Belgian town of Bastogne. Surrounded, American units were running out of ammunition and food. 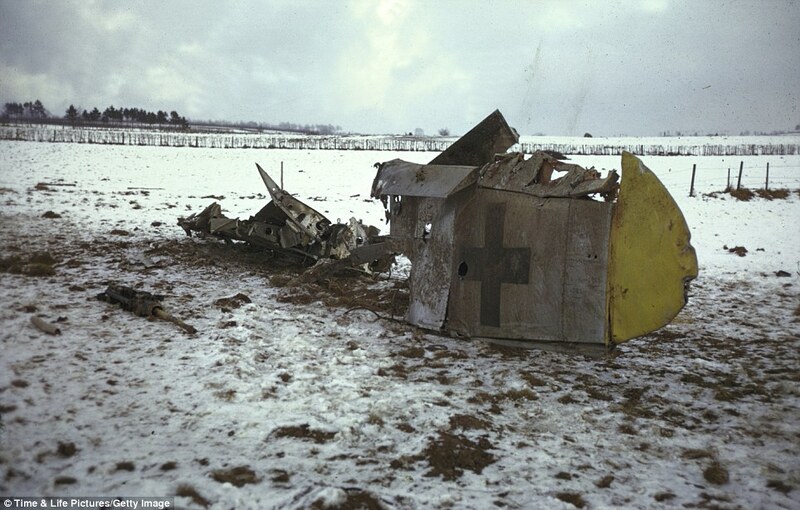 Medical supplies were scarce. 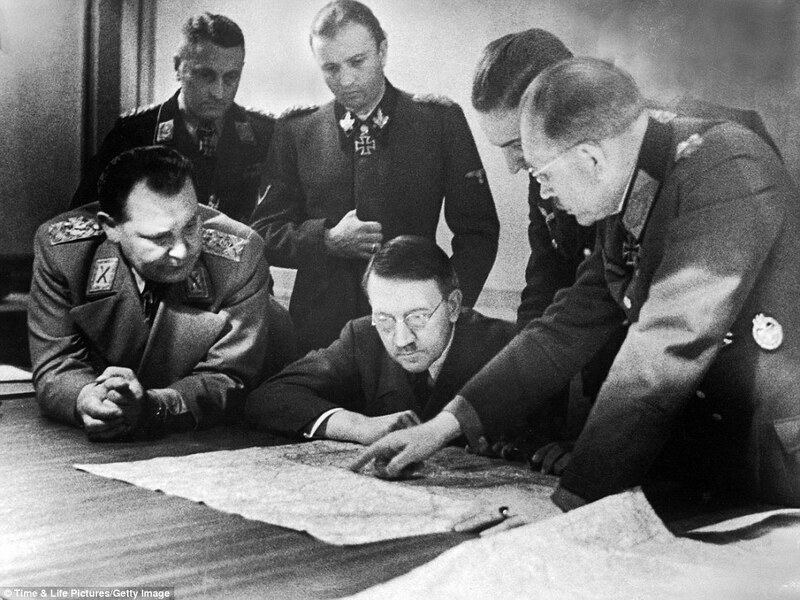 Development phase: Here, German Fuhrer and Reichskanzler Adolf Hitler and members of his General Staff review plans for 'Operation Bodenplatte,' an airstrike in support of the Ardennes offensive. 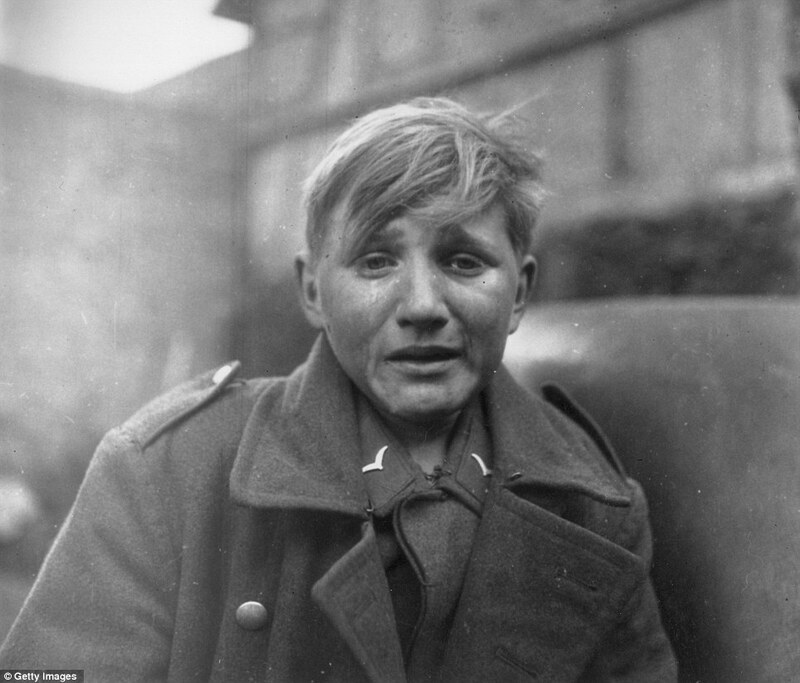 Beaten: A fifteen year old German soldier, Hans-Georg Henke, cries being captured by the US 9th Army in Germany on April 3, 1945. 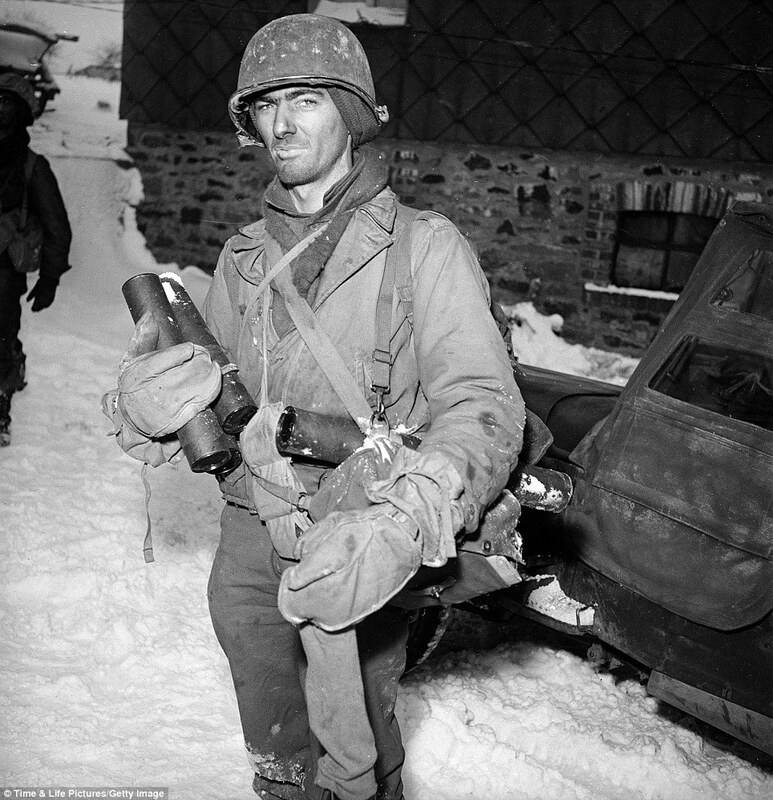 January 1945: Hard going for US tanks at Amonines, Belgium, on the northern flank of the 'battle of the bulge'.